A great headline is Elusive. As bloggers, we spend much of our time trying to come up with a great headline. Worrying about emotional words, headline length, click-through rates, trends, the uniqueness of headline and headline analyzer scores is enough to make any blogger a little nutty. But a great headline can yield fantastic results. A post becoming viral, lots of traffic, repinned multiple times on Pinterest makes all the stress worth it. As a Journalism major, I can tell you a good journalist will never write a headline. A Copy Editor will. The one time I wrote a headline for my college newspaper, the Copy Editor scoffed at me. It simply didn’t embody the story. Looking back, he was right. A good Copy Editor has years of experience in writing headlines and it’s literally what they do every day. But as a blogger, we write headlines, the story, make graphics. We are the newsroom and we wear multiple hats. So put on your Editor hat and have at it. Here are some tips, and tricks to access your inner Copy Editor. Simply put, you never want to start off writing your headline first. A good writer knows your story may take you to another place. It may become 2 stories or something totally different. Your headline is the last thing you think about when writing. Yes, you have a general idea about what you’re writing about but save the best for last. If you’re like me you spend a good deal of time on Coschedule Headline Analyzer, trying to get that perfect score. But what I find is that every time I try to make my headline score go up, it just goes down. A good Copy Editor will tell you to go with your first instinct. Playing with words can be fun. Just saying the headline out loud while utilizing different power or emotional words can yield a great headline. I usually end up talking to myself while verbalizing possible headlines and reading synonyms. The ones that sound great, I write them down and mull them over. Another strategy for Word Play is taking a Keyword and thinking of other words that are associated with that word. For example, my post on Why Blogging is the Best Start-Up with the Quickest ROI. When you think of a Business Start-Up, associated words entrepreneurs think of are business expenses, operating cost and return on investment. I used an Associated Keyword to write a unique headline. A good resource for researching Associated Key Words is LSI Graph. Power words give your headline some personality and sparkle. They can elicit excitement, encouragement, urgency, and trigger emotions in people. A simple Power Word can be the determining factor in your reader reading the post or just simply repinning it. One of the best resources I’ve seen for power words is Sumo’s 401 Ridiculously Useful Powerwords. Emotional headlines can trigger readers to take action. It’s the oldest trick in the book. Essentially, emotional headlines use Power Words. But as a blogger, we have a dilemma on writing emotional headlines for a How To or List posts. But here are simple headline formulas for inserting Power Words. How to [ Insert POWER WORD ] Story Topic. A great resource for Power Words to Word Play with is CoSchedule’s 500+ Power Words. Try to keep your headline between this range. Long headlines tend to have lower conversion rates. CoSchedule’s Headline Analyzer will let you know if your headline is too long or short. Last but on least is the use of good Grammar. With the advent of text messaging and slang, good grammar is not on the forefront these days but its very important when it comes to headlines. Just ask my journalism professor who would fail you in a heartbeat if you practiced bad grammar. Don’t Use Auxiliary Verbs – Auxilary verbs can make a headline appear to be in the past tense. Examples of Auxilary Verbs are be, do, have, can, might and will. Leave out Articles, a, an, the – As often as you can, leave out articles a, an and the. Example include: A Woman Leaves 2 Kids in a Hot Car. Instead, use Woman Leaves 2 Children in Hot Car. Don’t think you need all 4-U’s to have a successful headline. It is rare to have a headline with all 4’s and it’s 16-18 characters. You can skip over any of the 4 in the formula. Urgency is the preferred one to skip over. A Useful Headline will start out with usually a How To beginning. It begins with solving a problem. You’re writing a post that is useful to your audience. Think about your audience and jot down problems they may encounter in their daily work. You can create a sense of Urgency with your reader so they don’t miss out. Words such as Avoid, Time Runs Out, Rare, Off-Limits, Limited Time Bonus, Expired. A deadline/timeframe placed on the headline will always give a sense of Urgency. This section is where your Word Play comes into focus. Uniqueness can also mean a unique topic or a word that seems out of place. Also, puns are part of the Unique realm. An example of a good Pun is Buzz Feed. Ultra-Specific headlines use stats or lists to grab the attention of readers. Research has shown that odd numbers instead of even numbers seem more genuine to readers. Here is an example of an ultra-specific headline I have used in the past. Many journalists may use hard data stats when writing a headline. A great tool for this is Statistica. Statistica is a reliable source for many writes when writing Ultra-Specific headlines. They have stats given on consumer survey results and other industries by niche. 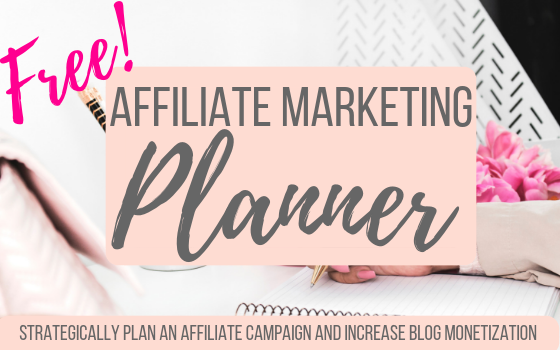 It’s also a perfect tool for bloggers in Affiliate Marketing. If you find yourself trying to get that perfect Headline Score on CoScheduler’s Headline Analyzer, don’t fret. Place in some strategies from above to help increase your score and write amazing headlines.